Haunted Demo Contests Are Here! Marth (x2), Dr. Mario, Classic Mario, and Toad! Marth #1: Win the High Score contest in game (See the “Contest” button on the Level Select screen for current standings). All of your highest score from all of the levels that you play, will be tallied into this contest. 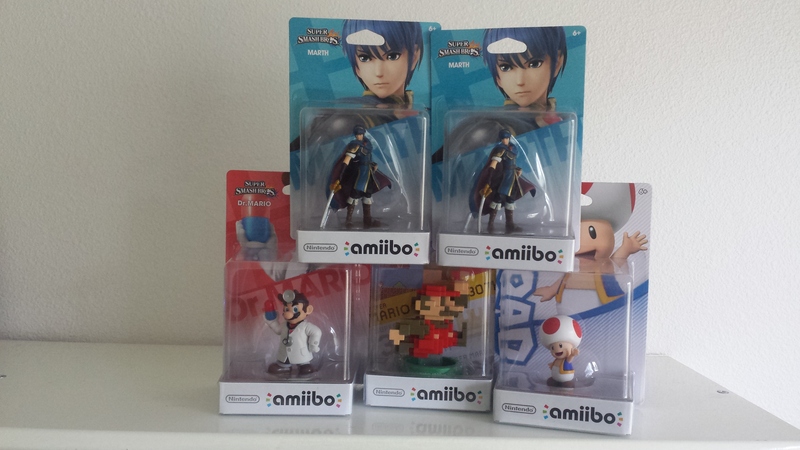 Whoever is #1 at the end of the contest will receive a Marth Amiibo. Marth #2 and Classic Mario: These will be random drawings. You can enter by saying hi to us in the comments below, on our Reddit post, in our Twitter feed, or on our Facebook page! Each level you beat will also gain you more entries into the drawing. You are limited to one entry per level and per number of players though. For example, you can get 2 entries for completing levels 1 & 2 by yourself, or you can gain a 3rd entry by replaying level 2 with a friend. Toad: Take a screen shot of your favorite moment from the game and post it to our Twitter or Facebook. It can be anything related to the game. Dr. Mario: The bug killer! Since this is still an alpha version of our game, there are still bugs to be found. Let us know about any bugs you find or any other feedback you may have and each item you list will gain you an entry for a random drawing for Dr. Mario! These Amiibo are all North American and new in box. There is no cost to join this contest, I will ship the Amiibos out to you for free! Winners will be contacted in the medium that they entered. For example, a Reddit entry winner will be contacted via PM on Reddit and an in game winner will have a special server message sent to them with instructions on how to provide me their address for shipment. Winners will have 24 hours to respond with their information, otherwise we will more to the next person in line. This contest will be running from now until November 1st @ 11:59 PST. DISCLAIMER: This is a contest that is meant just for fun and we hope that everyone treats it as such, but we reserve the right to disqualify anyone that is suspected of cheating in any way. Being that this is still an alpha, it is also possible that we may have to reset certain scores depending on the type of bugs that are found. We will try to avoid that though wherever possible. ← We have an official Facebook page!